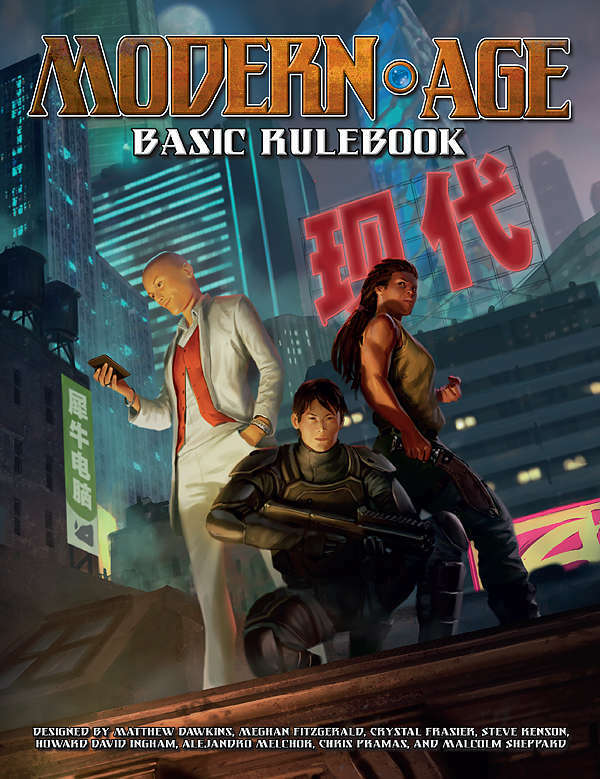 Though it’s an “all-in-one,” I am going ahead and including the Modern AGE Basic Rulebook in my Player’s Guides to Awesomeness Week thanks to its heavy focus on the player experience (and the fact that it’s just a really neat book). This is your gateway to taking Green Ronin‘s AGE System and using it to play modern action, urban fantasy, cyberpunk, and more. Use Modern AGE in the campaign setting of your choice, including the World of Lazarus, based on Greg Rucka’s creator-owned comic series of near-future feudalism, or use it to run adventures in the world you create. Grab three six-sided dice, and you’re ready to play in the Modern AGE!